The belief or truth claim that God does not exist. Sometimes stated as a lack of belief in God or gods. Atheists and evolutionists claim they have no religion. But is that true? 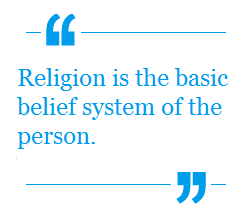 Atheists are fond of saying that they have no religion, because atheism is not a religion. Here’s an example from Twitter. 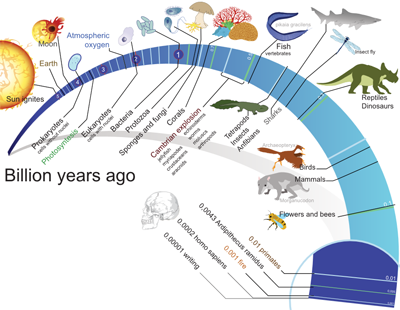 Likewise, evolutionists claim that evolution is science, a fact, and certainly not religion. Here, for example, is a video of Richard Dawkins at big think claiming evolution is a fact. But are atheists and evolutionists correct in asserting that their respective beliefs are not religions? That of course depends on the definitions. Evolutionists are notorious for redefining evolution to suit their needs for the occasion. In other words to keep evolution from being exposed as the total fraud it is, they keep changing the meaning of the word “evolution”; so they wind up claiming you’re not speaking about the same thing; though you’re speaking of the same evolution the discussion started with. For instance, you may start out with a statement like “molecules to man evolution has never been observed.” They’ll return something like, “Do you know what evolution is? It’s a change in the allele frequency of a gene pool.” These are two different things; two different discussions, and thus you can never convince them of anything. Steven Meyer and Mike Keas have documented 6 of the common uses of the term “evolution” that evolutionists switch between.1 There’s a term for that tactic. It’s the logical fallacy known as equivocation. Atheism likewise comes in various flavors. The strong position, those who categorically state there is no God, (or as they would say gods); the weaker position, those who simply do not believe God exists; and finally those who try to be a little less arrogant and more rational (knowing that proving a universal negative like “there is no God” is impossible. Therefore to say there is no God is arrogant), and thus they simply say “I don’t know if God exists” – the agnostic position. And with Bill O’Reilly out there confusing people with his repeated claims that Christianity is a “philosophy” not a religion,2 Christianity is not without those who are muddying the waters. So can we claim any of these are religions? Yes, these are all religions and that can be clearly seen once we understand the difference between how a religion is recognized, and how it is expressed by adherents. The courts have been a favored weapon of atheists and to a lesser degree evolutionists in the battle to silence Christians while simultaneously getting their Godless theories to be accepted and promoted in government sponsored venues like schools. The typical approach is to use the first amendment’s “establishment clause” against anything that even sounds Christian. 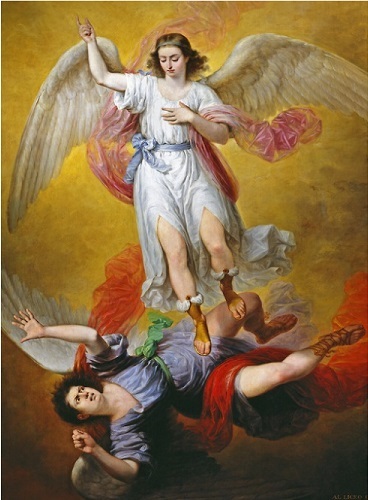 Antonio María Esquivel y Suárez de Urbina, 1840 Paradoxically, the problem of evil is proof that God exists. On Friday, December 14th, 2012 a gunman who shall remain unnamed so as to deny him any further fame, entered the Sandy Hook Elementary School in Newton Connecticut, and shot and killed 20 students and 6 adults. Before driving to the school for the rampage he had killed his mother, and when finally confronted, he killed himself bringing the death toll to 28. In a news conference that same day, Gov. Dannel Malloy summed it up succinctly: “Evil visited this community today”. This article is being written, as it turns out, on the 20th anniversary1 of the Oklahoma City Bombing on the Alfred P. Murrah Federal Building which killed 168 people and caused 680 nonfatal injuries. Additionally it caused an estimated $652 million in damages. These are but a couple of drops in a sea of evil that in one way or another touches the lives of every single human being that lives and has ever lived. This curse upon humanity is paradoxically an affirmation of the truth of God for Christians, while for those unwilling to believe, it becomes a reason (in their mind) why they shouldn’t believe God exists. Why is it that people can look at the same evidence and come to diametrically opposed conclusions? How can consideration of a single issue – in this case the existence of evil – result in such radically different reactions and beliefs from people? One might ask the same questions of a phenomenon at the other extreme of the moral continuum – miracles. Why do miracles cause some to believe, while others only see in them only something to either scoff at or be angry at; or to make accusations that people are being “misled”? In both cases (reactions to the problem of evil and the reaction to miracles) the root cause is the same: an unwillingness to acknowledge God as Lord who will bring all created things under his control and under his judgment. The mere thought of God as Lord manifests itself for many as statements of unbelief. As particles in the atmosphere are the core around which moisture coalesces to form rain drops or snow, likewise miracles and the problem of evil are items around which unbelief can coalesce and be visibly expressed. 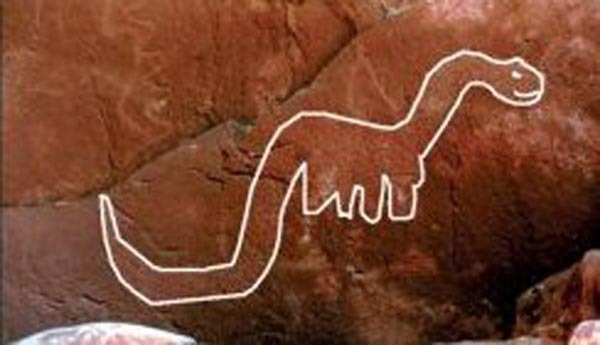 Does ancient art prove dinosaurs lived with humans? This brontosaurus was drawn 800-2150 years ago by Anasazi Indians in Utah. How did they know what a brontosaurus looked like? 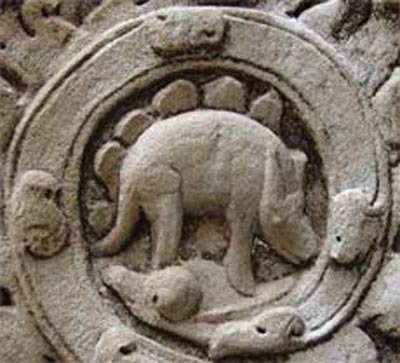 This is a common objection on the ‘net regarding the Angkor stegosaurus depiction. I would then ask what is this next picture a depiction of? The Declaration of Independence – a permanent testimony to the establishment of the United States of America Rejecting the Bible because it’s an “ancient” document and we didn’t witness any of it is as foolish as rejecting the Declaration of Independence because it’s ancient and we didn’t witness the signing. 1. How can faith be rational, when faith means believing in something with no evidence? 2. Is Faith/belief in God/belief in miracles compatible with science? “What is the meaning of life?” This is clearly an important question. But can science answer it? The answer clearly is no, science can’t answer it. And why not? Famous evolutionary biologist and historian of science Stephen Jay Gould suggests it’s because science and religion deal with different spheres of knowledge – “magisteria” as he called them – and they do not overlap. Science and religion are thus Non-Overlapping Magisteria (NOMA) – so the one can not comment on the other. This formulation is close. Science can not see or measure the spiritual world, so it can not comment on it; but God, who is spirit (John 4.24) sees both the spiritual and material world, and thus can comment on both as an eye witness. Thus regarding the creation of the world, what you have in Genesis 1 is an eye witness account of the creation of the heavens and the earth in 6 days, and recorded as evidence – a testimony for all time. In passing, God as an eye witness to the creation is something science can not disprove. They can disagree with his testimony, (which they do) and disbelieve he even exists (which they do), but they can not prove he does not exist. Neither can they provide an eye witness to their version of creation – the big bang. They say believing God’s testimony can only be done by faith. Okay, so what is it when you believe George Washington was the first president? No one alive today was there to see it. All we have are testimonies. Is that not then, also faith? Yet no one asks scientists to prove George Washington was the first president, or prove that he existed. They take both to be true on the word of historians. Biblical testimony is no different. So why is faith in God’s written testimony any less rational than believing written testimonies that George Washington was the first president? Claims that there is no evidence that Jesus ever existed are simply untrue. Here’s why. 1. 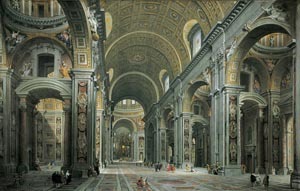 St Peter’s Basilica; Cathedrals and Churches all over the world. In the companion article there was not space to discuss these issues, so here is that discussion. First, please note these are presented as evidences not proofs. It’s very difficult to “prove” anything that happened in the past. However what we do have left from events in the past is evidences that the event occurred. The following are evidences that Jesus existed. Pictured above is a view inside the great St Peter’s Basilica, the centerpiece of the Vatican, named after the apostle Peter, a follower of Jesus who is regarded by Catholics as the first Pope. For someone who never existed, Jesus somehow managed to get multiple people to write down the names of his first followers (the apostles), and managed to get churches, cathedrals and this basilica built to honor and worship him. Unlike mythical deities, such honor and worship continues to this day. An amazing feat for someone who never existed. – Is Artemis worshipped in any significant way today? Does she have thousands of temples/churches? – When swearing or cursing, does anyone swear by Artemis? Or use Artemis as an expletive? – Does anyone claim Artemis loved mankind enough to become incarnate, live on earth and redeem mankind from his own sin and folly? – Is time divided before and after the coming of Artemis? – Does Artemis have an animal marked on its body with her symbol that carried her in triumph as Jesus does? (John 12.12-15) Has her symbol inspired kings and armies like the Chi Rho did Constantine and his army? 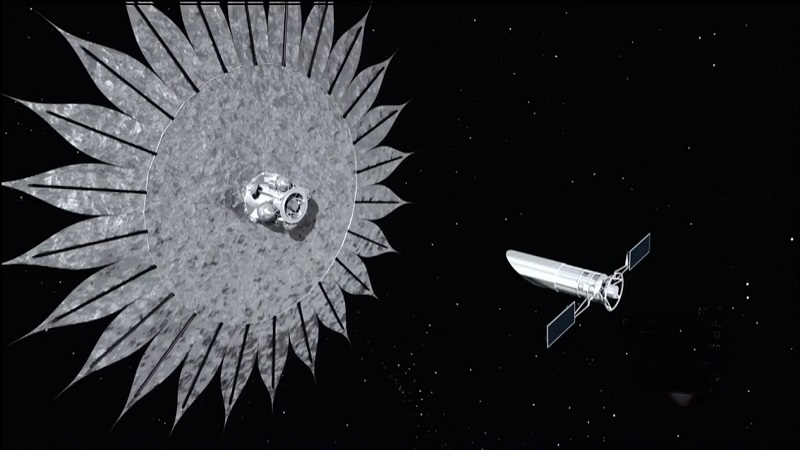 – Did Artemis prophesy anything that was fulfilled? Whether you love Jesus and revere him or despise him and use his name as an expletive, clearly the responses to Jesus has always been, and always will be qualitatively and quantitatively different from any other so called god. This makes both the worship of Jesus and his places of worship also qualitatively different. There is an entire fabric of evidences that St Peter’s Basilica becomes part of strengthening the entire case for the existence of Jesus. The temple of Artemis [or substitute any false god – Zeus, whatever] is a single thread that simply reminds man of his tendency to idolatry and folly. So please, don’t bother with the comparisons to other fallen temples. In the Looking Glass world of Alice in Wonderland, Tweedledee’s “logic” makes perfect sense. In the real world – it’s nonsense – or to be more precise – suffers from both a formal and a non-formal logical fallacy.2 Yet it makes perfect sense to Tweedledee and Tweedledum. In the same manner, the logic of atheists makes perfect sense to them in their looking glass world where they protect themselves from the truth; they can’t see anything wrong with it – yet it is clear to others it is as fallacious as the flawed logic of Tweedledee and Tweedledum. When difficult questions are put to atheists about the nature of reality for which the atheistic worldview has no answer, atheists (and evolutionists alike) throw out fine sounding arguments. 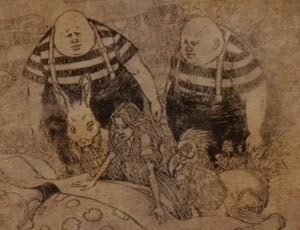 And like the Looking Glass characters, their answers have the form of validity, but upon close examination it is apparent their arguments are as fallacious as the logic used by the Tweedles. Let me give a couple of examples. 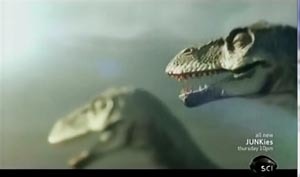 Evolution uses circular arguments to support the supposition that dinosaurs became extinct 65 million years ago. Notice the above person states no “verifiable” evidence. This means there is no evidence you can present that will meet his standard for “verifiable.” (An illicit shifting of the burden of proof.) The problem with saying “there’s no evidence” is you must then explain away all the sites with evidence – like this one, or creation.com or answersingenesis.org or a host of other sites and books (including the Bible) which provide the evidence against evolution and for God and intelligent design which they claim doesn’t exist. 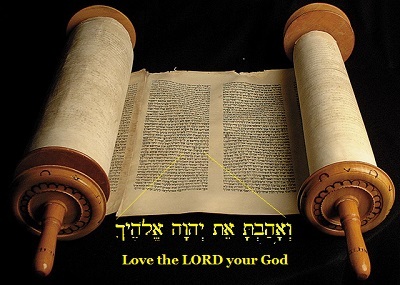 Brian Auten provides a list of such sites on his Apologetics315 here. In light of the overwhelming evidence, one is tempted to say they’re simply lying. After all, it’s one thing to say the evidence is misunderstood; quite another to say that none exists. But there are at least two other dynamics likely at play here. Christ, who is the image of God. A member of an alien species transfigured on Star Trek: The Next Generation An impossible lie disguised as entertainment is still an impossible lie. This one is from the father of lies. Yet in spite of their profession that everything is meaningless (including they themselves), and that there is no hope of an afterlife; yet still you see their glimmers of hope poking out from behind their denials like Kilroy’s head poking over the fence. 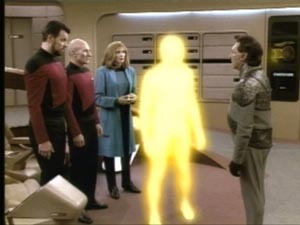 Thus the decidedly atheistic Star Trek series displays a curiously messianic figure who has been exhibiting messianic attributes (like healing) just before he is seen completing another messianic miracle: the transfiguration. 17:1 After six days Jesus took with him Peter, James and John the brother of James, and led them up a high mountain by themselves. 2 There he was transfigured before them. His face shone like the sun, and his clothes became as white as the light. 3 Just then there appeared before them Moses and Elijah, talking with Jesus. One is left to ponder – what is an atheistic series like Star Trek: the Next Generation doing displaying an episode with Christian themes? 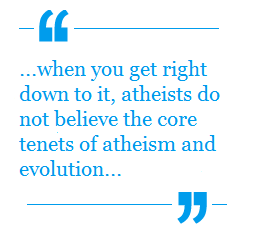 The answer lies in the explanation given – “a wonderful evolutionary change.” There it is – the atheistic hope. So once again, it is the theory of evolution that comes to the rescue. Just as it has rescued atheists from having absolutely no explanation for the origin of life, now they are hoping it will provide them with hope for a spiritual future for mankind; a hope that professor Provine has explained and clearly stated that atheists have no business expecting or hoping for. And while it may seem curious for an atheistic series like Star Trek to focus on such overtly Christian themes, once you hear the explanation, it’s supposed to all make sense. But there’s still a problem – a problem that becomes obvious – once you understand the recurring lie of the enemy. Before going there, a word on the historical account.